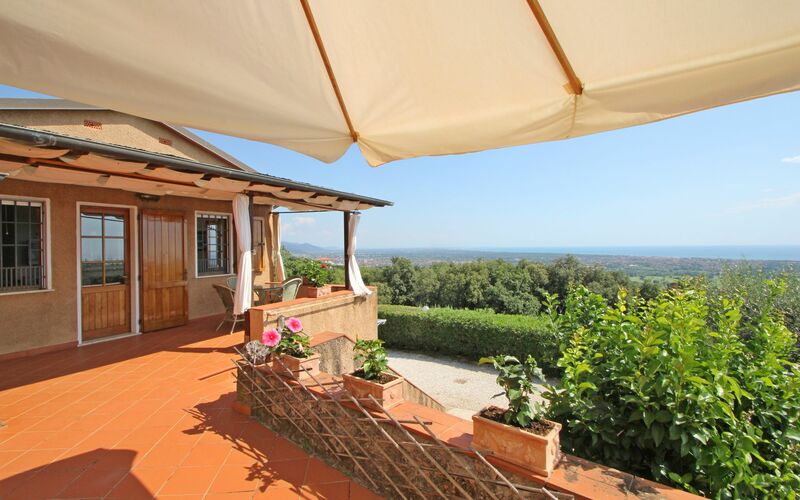 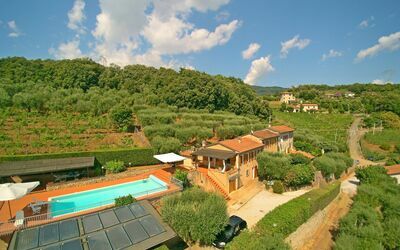 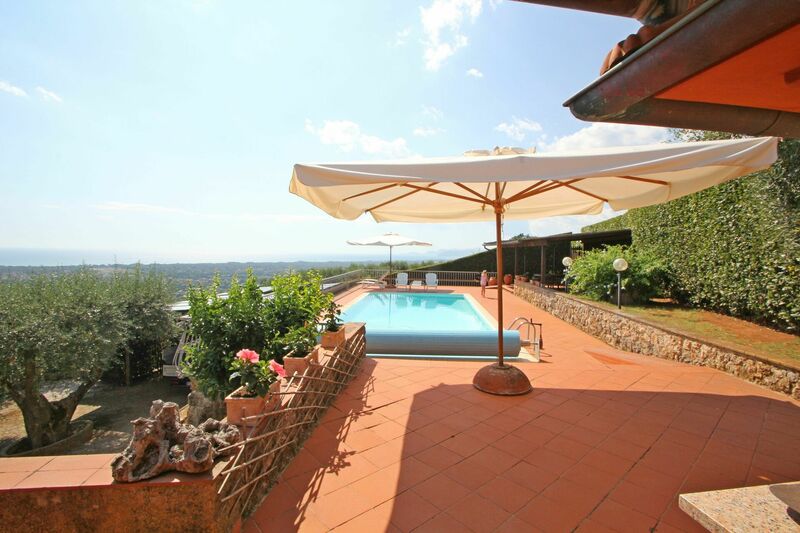 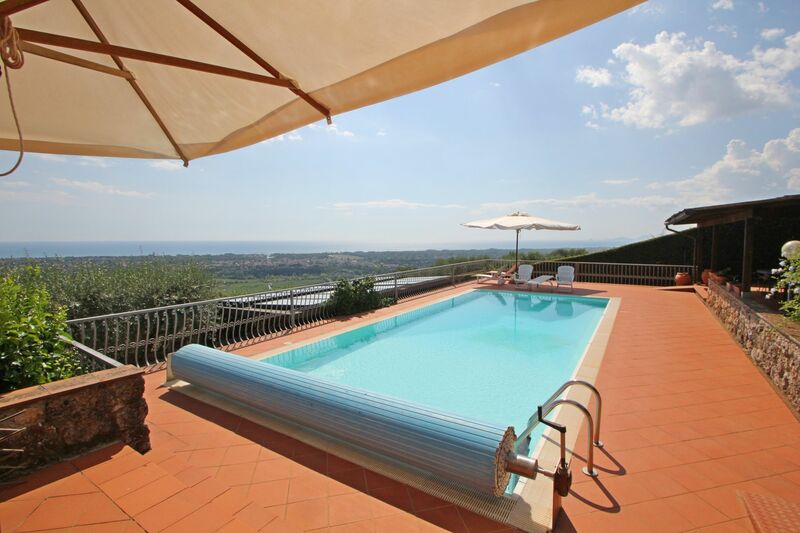 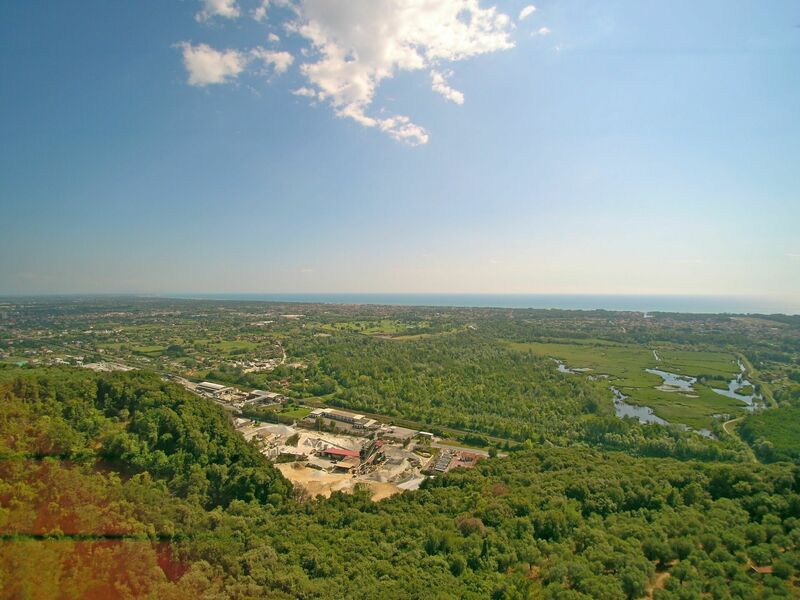 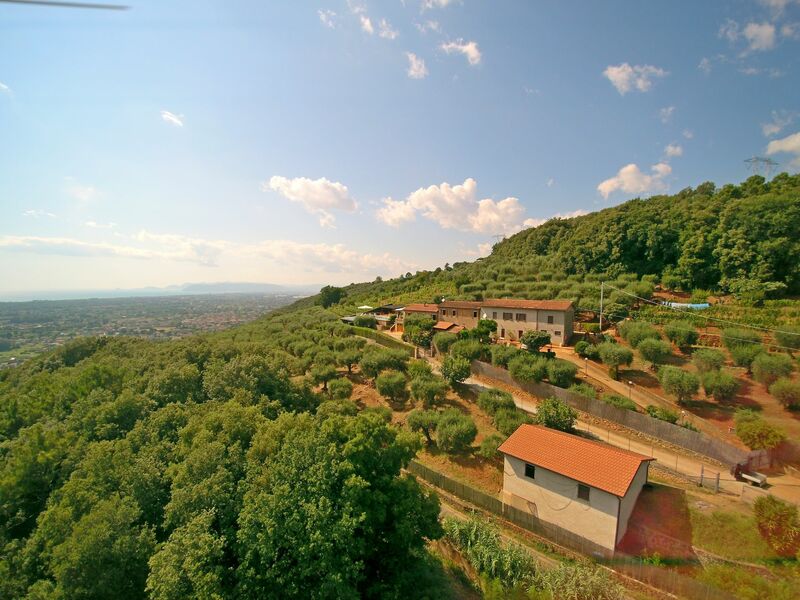 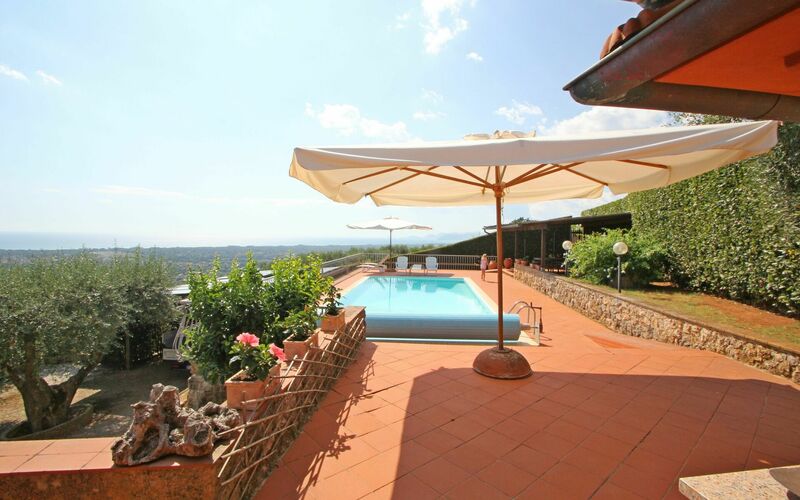 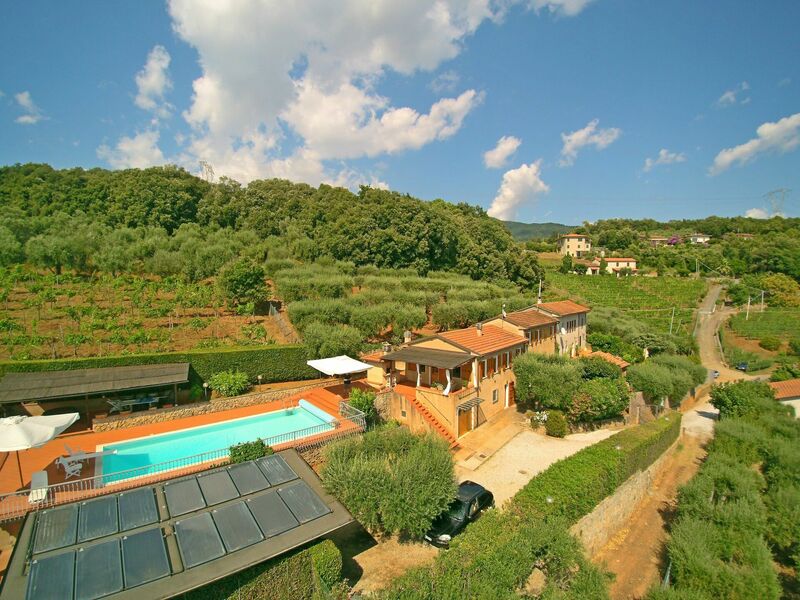 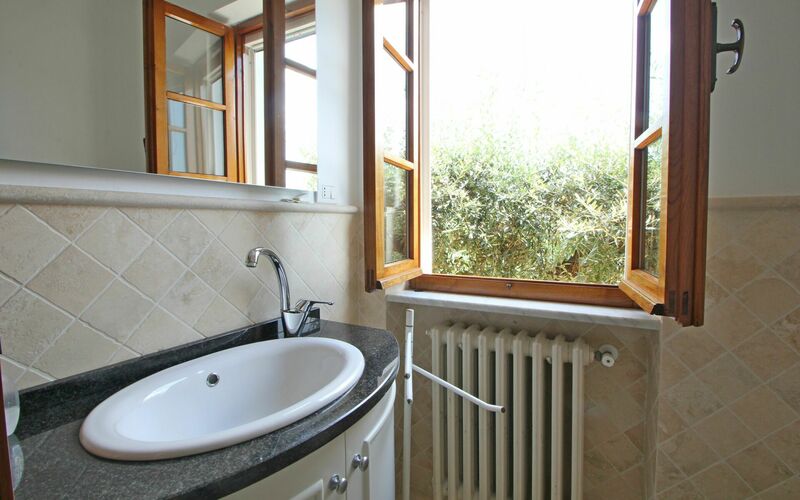 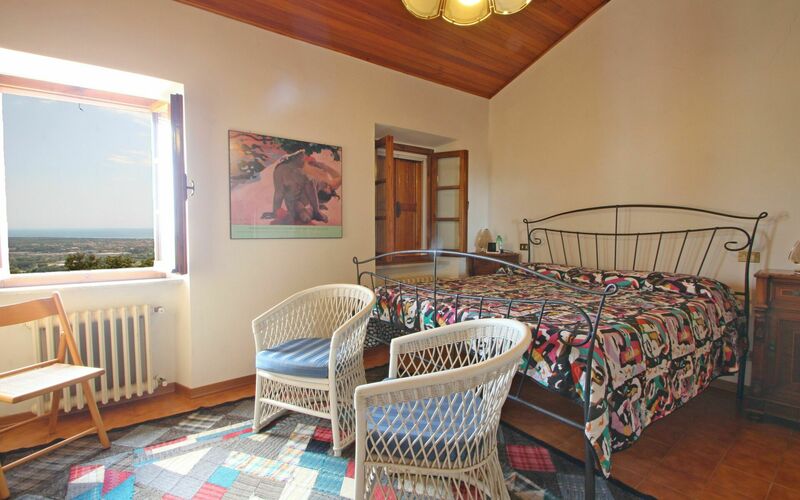 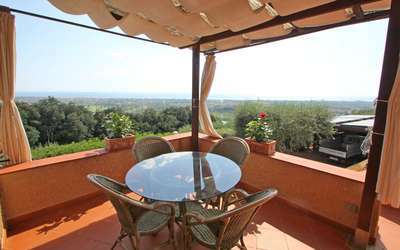 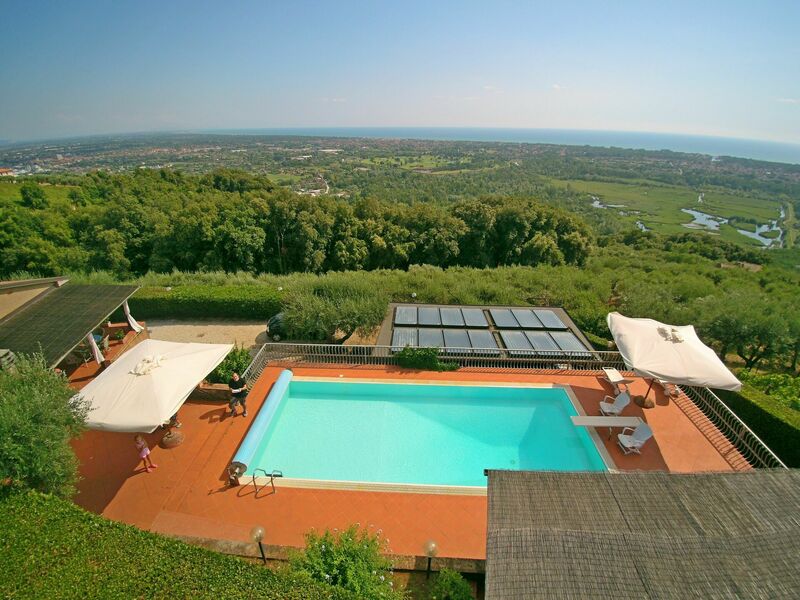 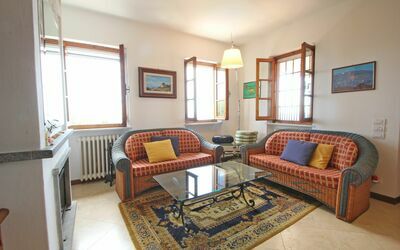 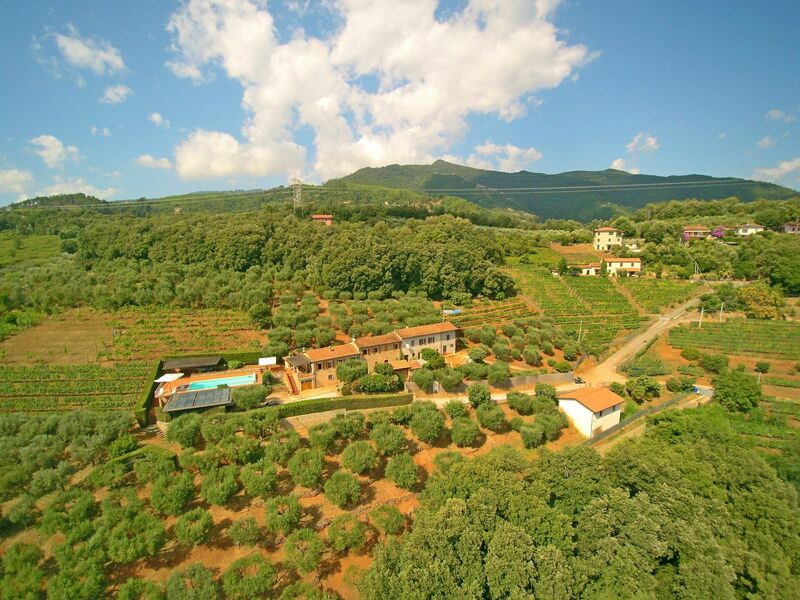 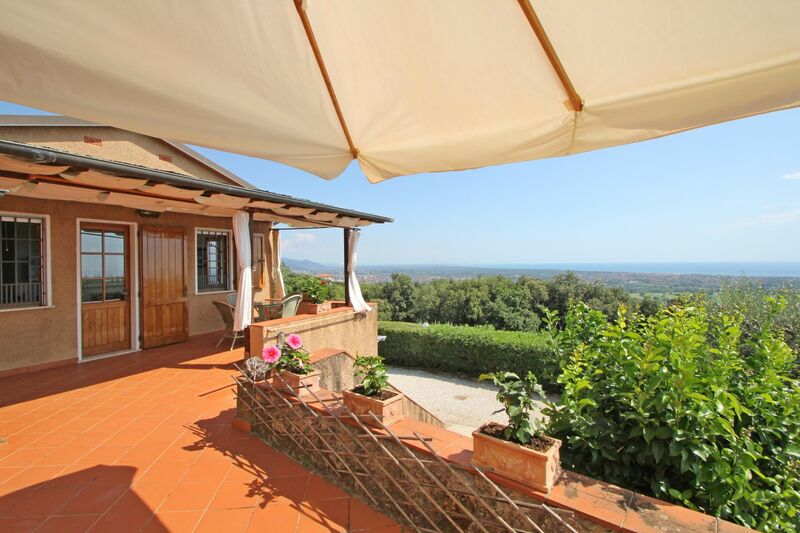 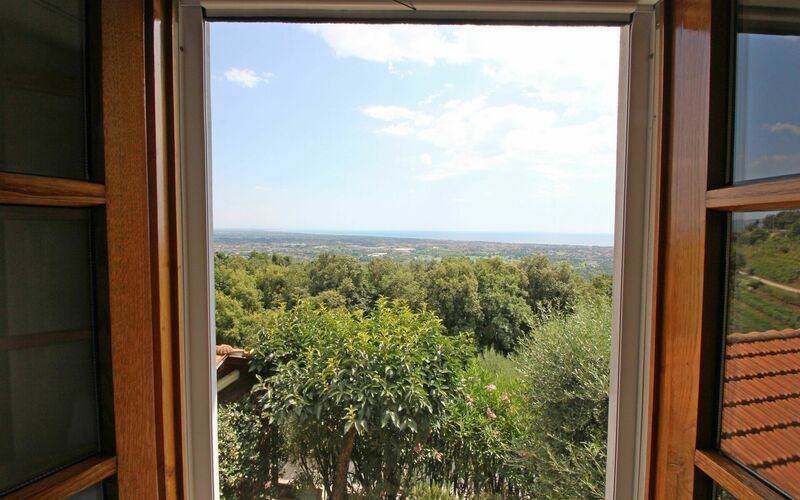 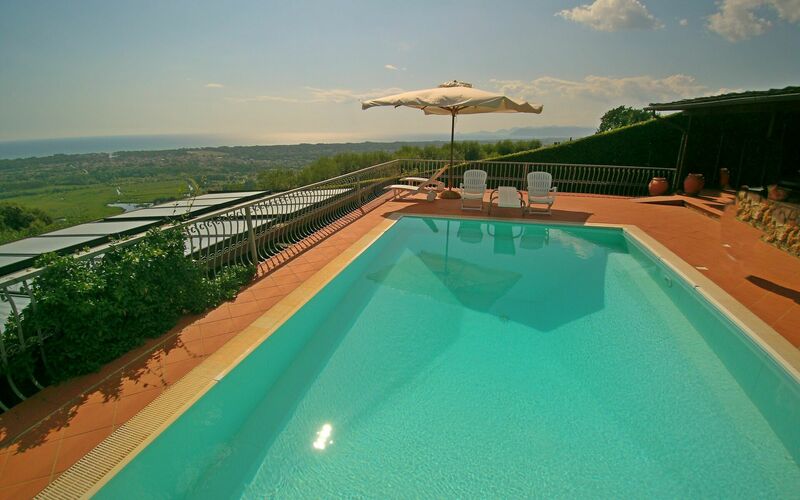 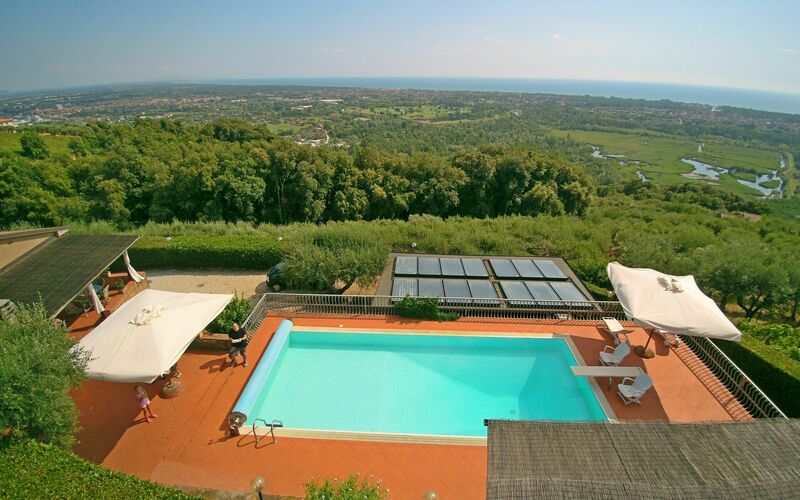 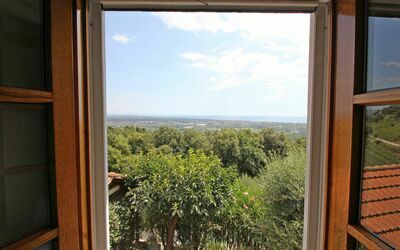 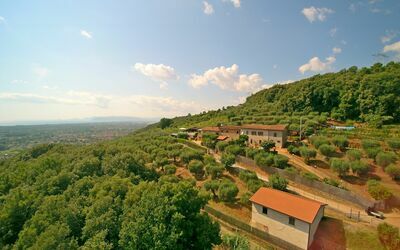 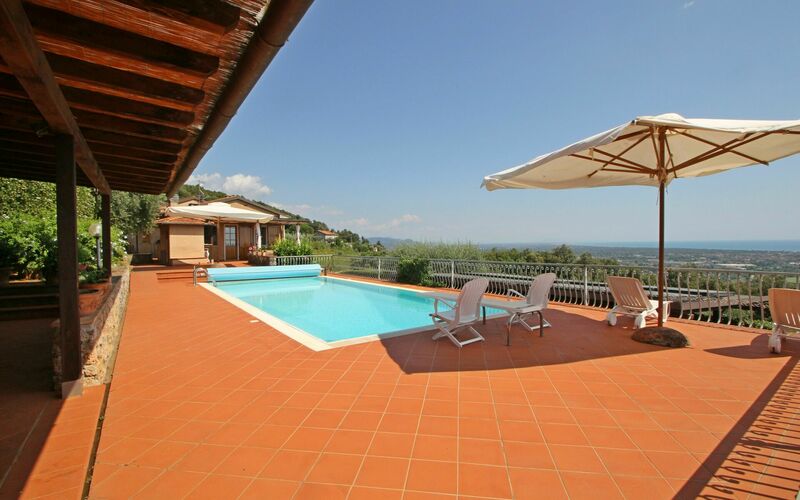 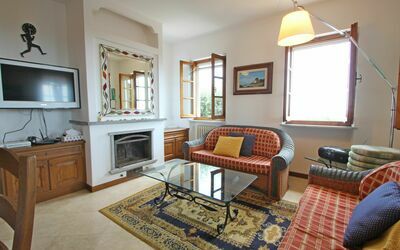 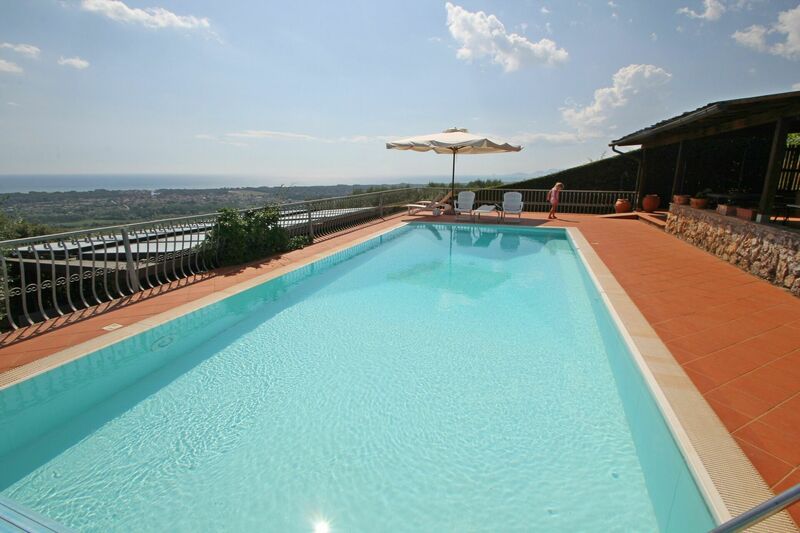 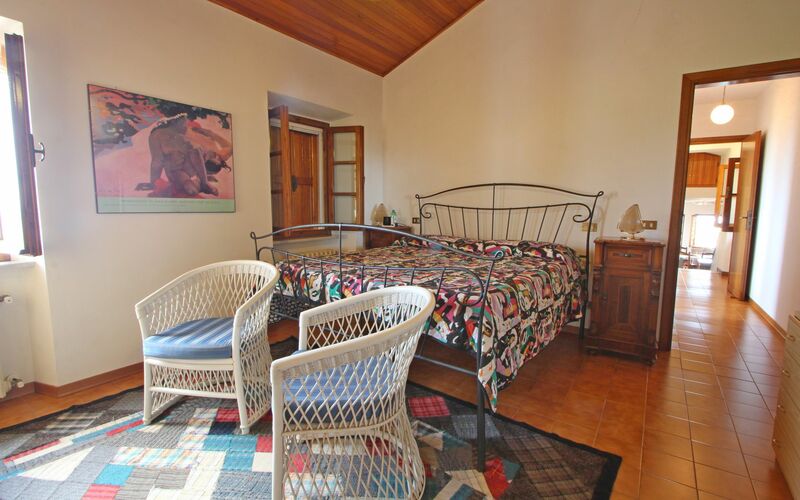 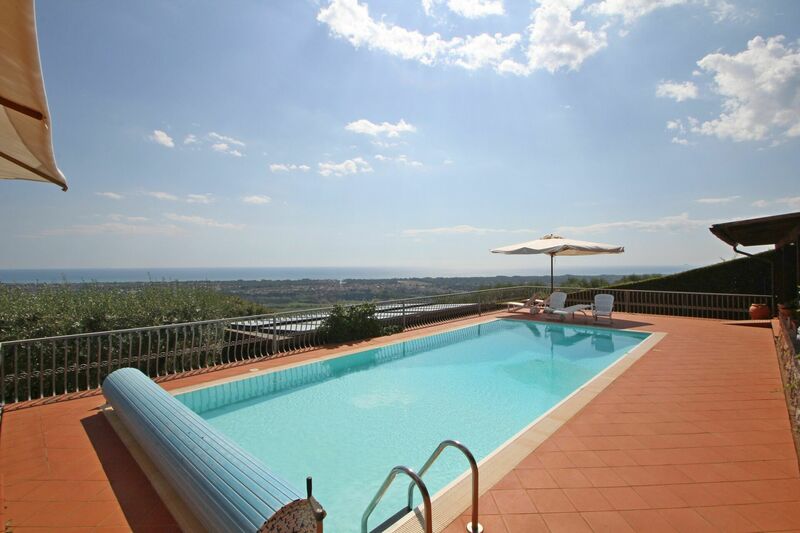 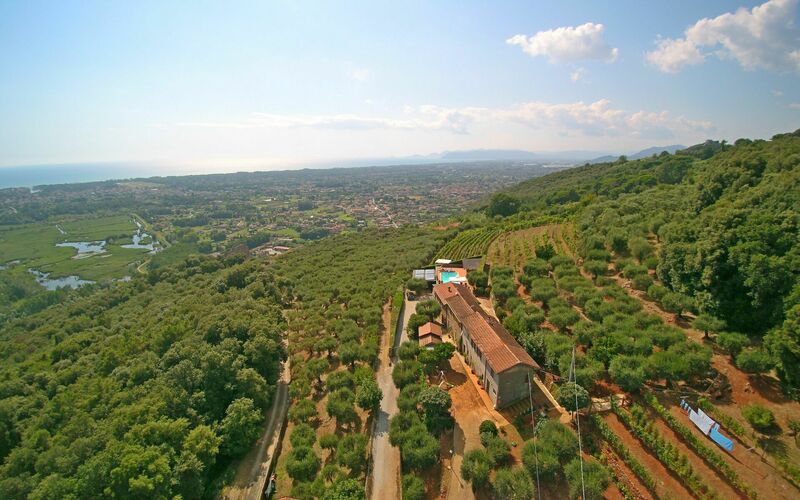 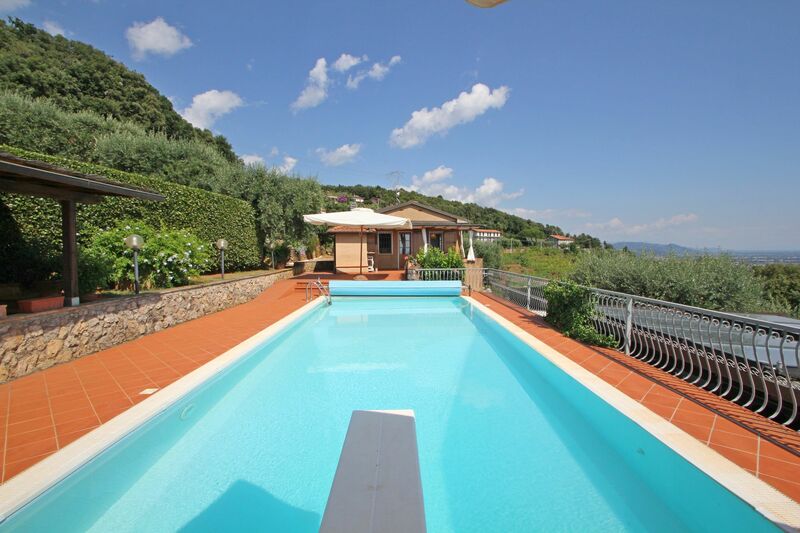 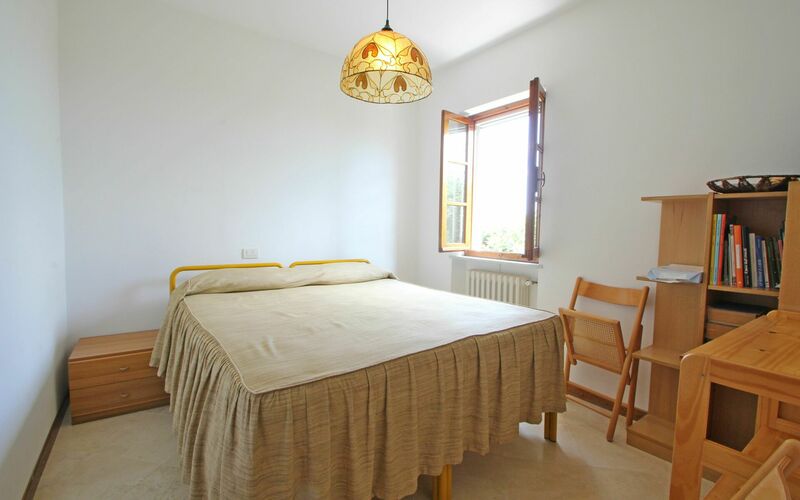 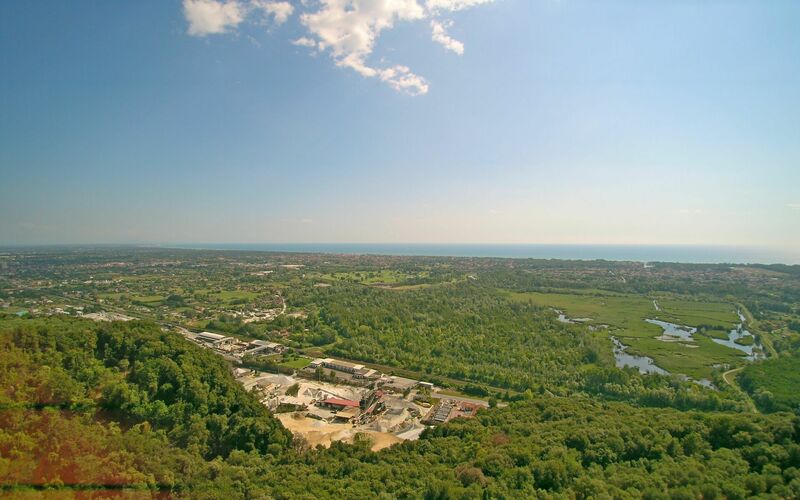 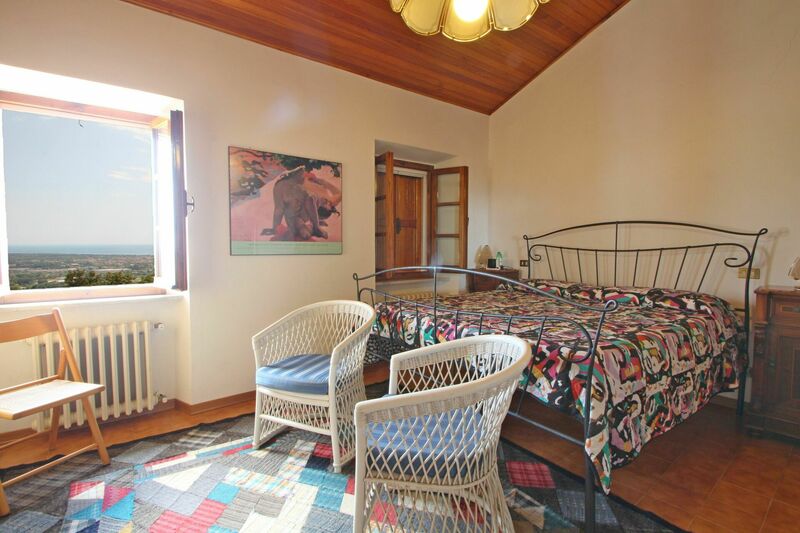 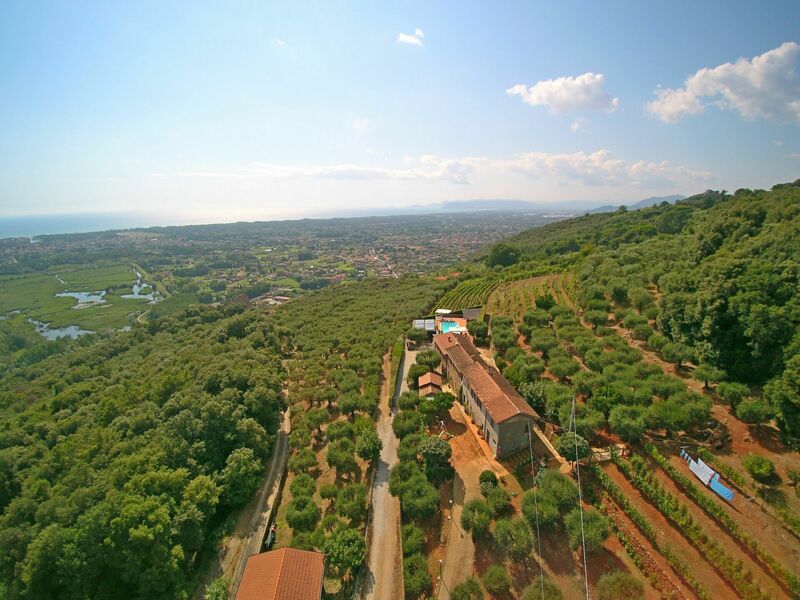 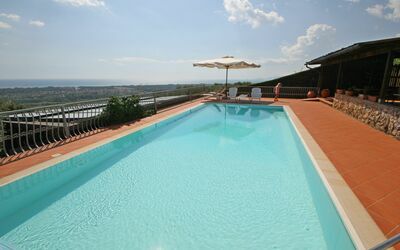 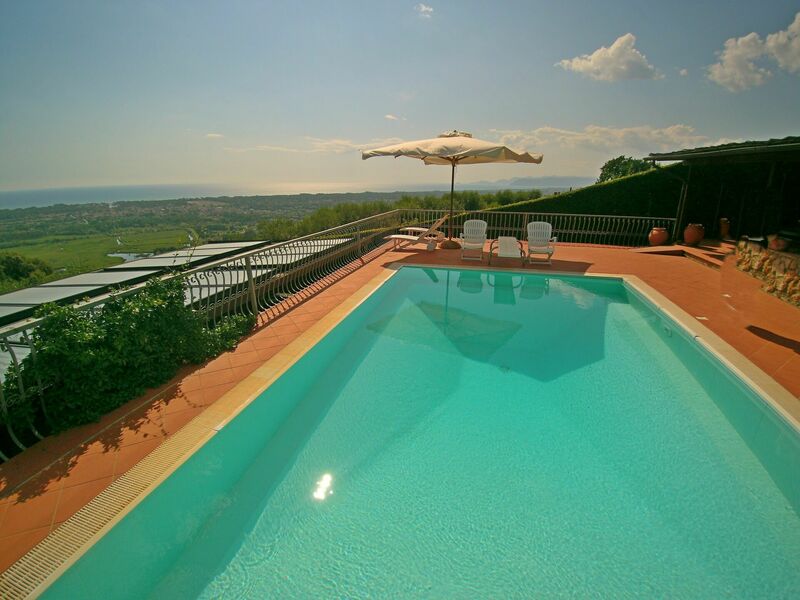 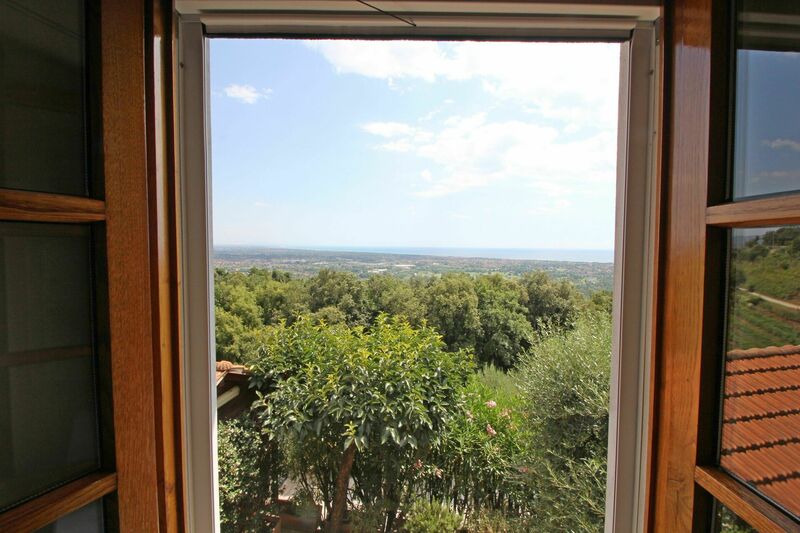 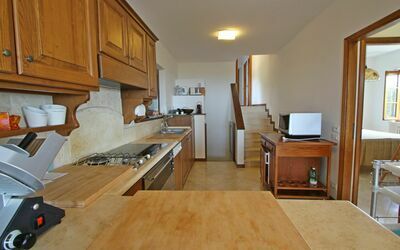 Holiday Home Terrazza sul Mare (Terrace on the Sea) is a wonderful house placed on the green hills of the Versilia area in Tuscany, in the middle of a Wine and Olive farm. 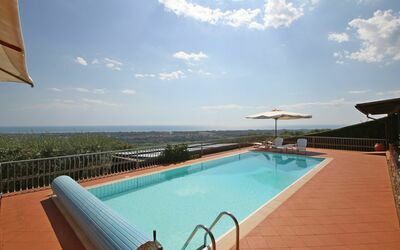 Its position make it perfect to relax while admiring the Sea which is only 9km away. The property is divided into two parts and both fully independent from each other with their own entrance. 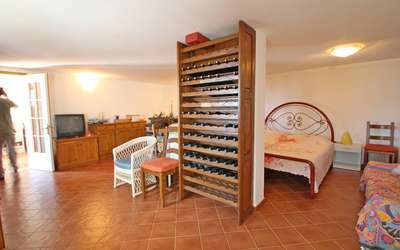 One is the holiday home and one in which the housekeeper lives and care about the Vineyard. 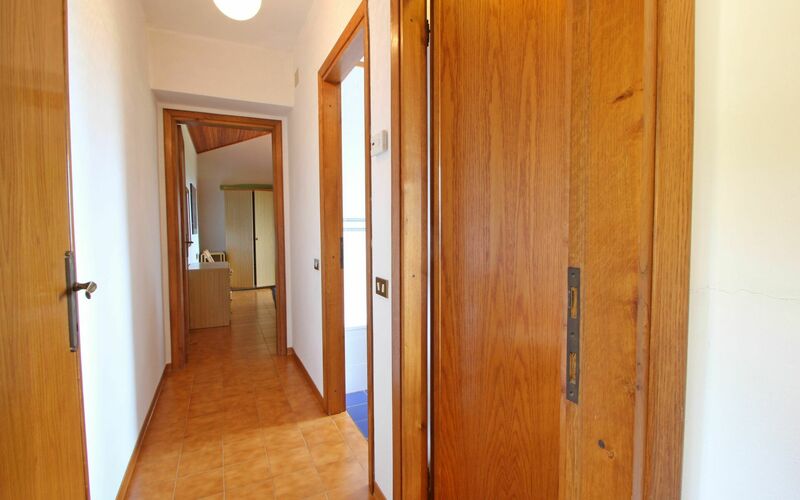 Entering from the main gate (with remote) is the covered parking space for two cars and not covered for at least another one. Going up a few steps you'll find the terrace where the entire outside area is located. 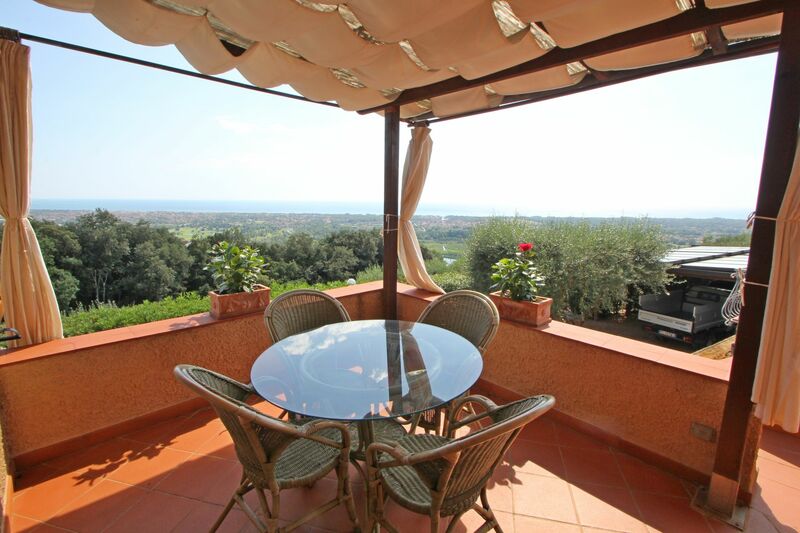 In front of the entrance door is a covered porch for outside dining and wonderful sea view. 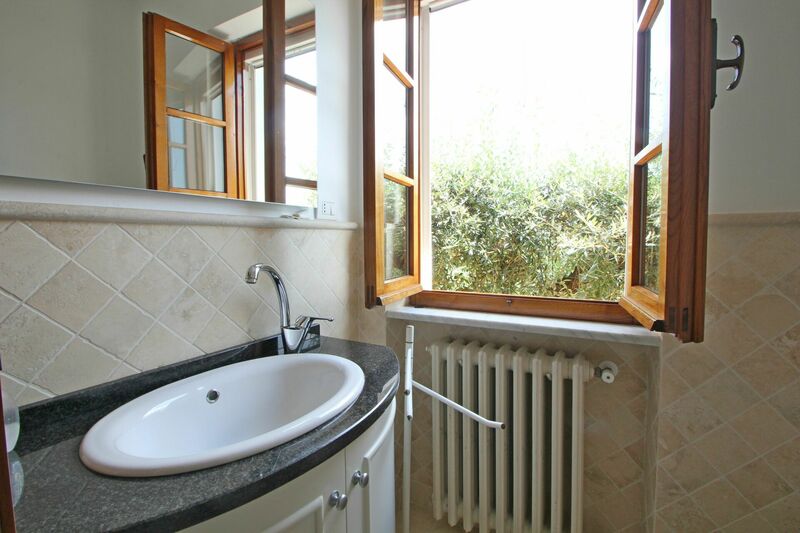 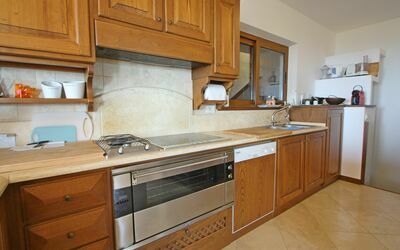 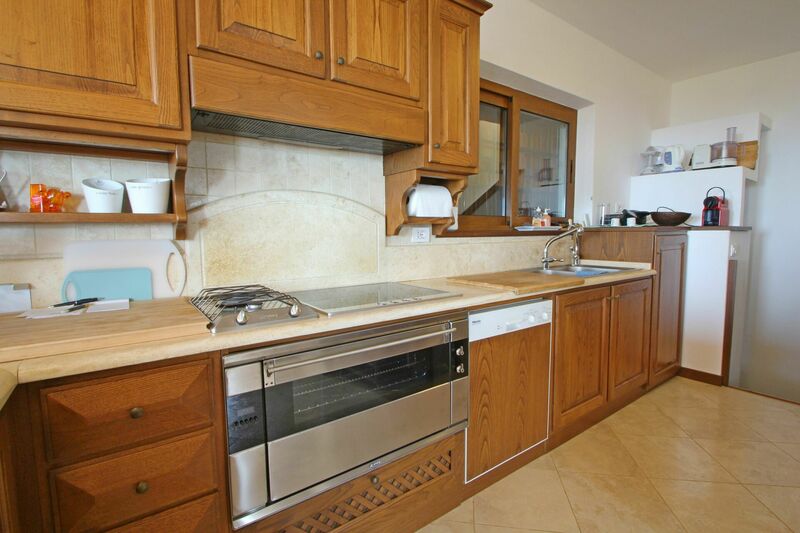 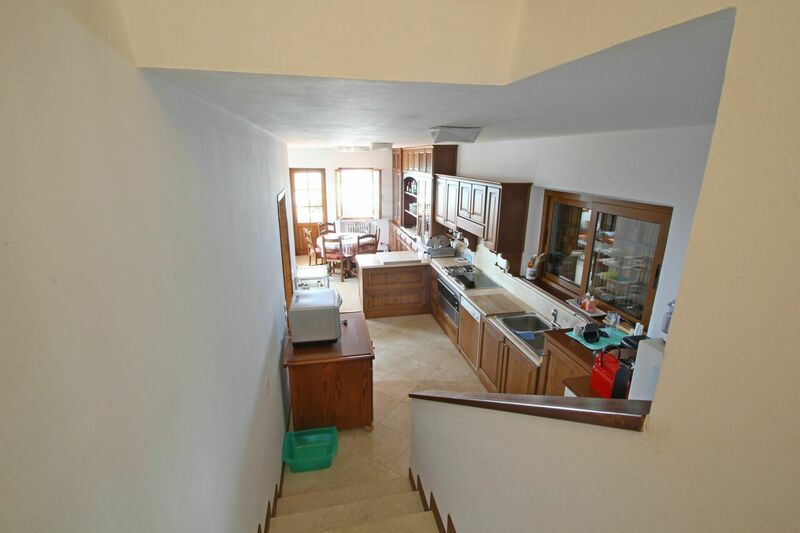 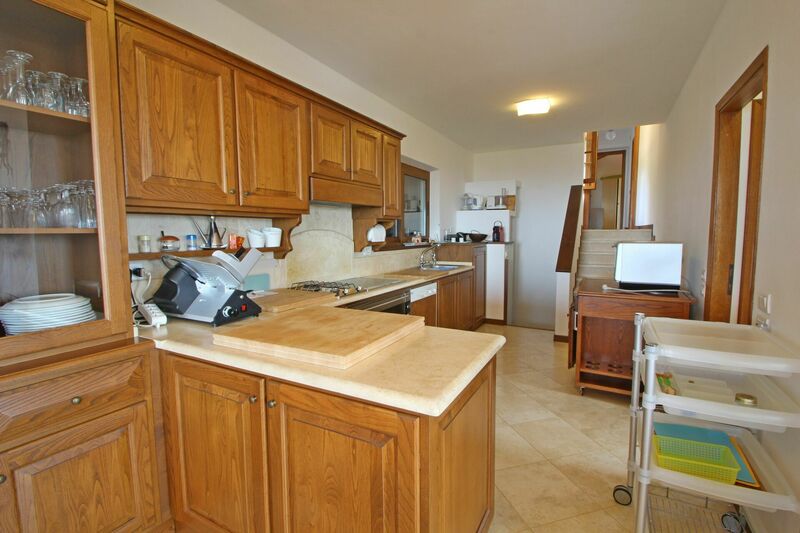 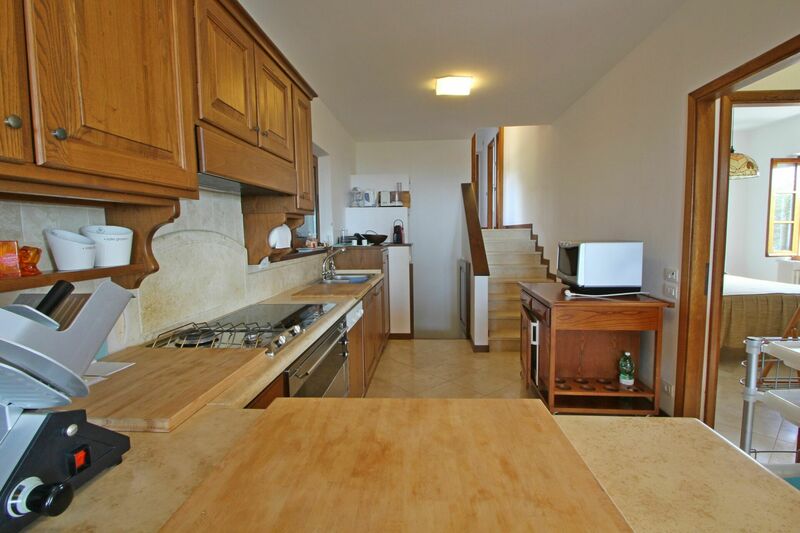 In addition there is a wood burning oven for pizza, a basin and a barbecue. 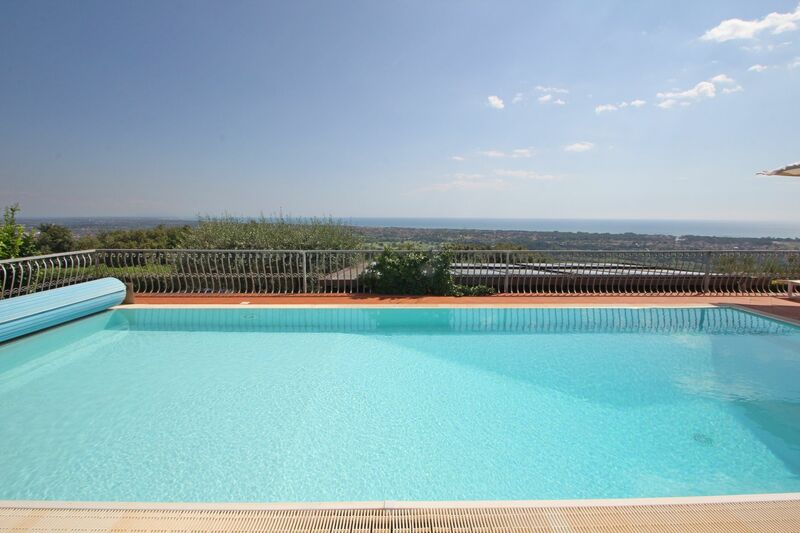 Pool Area: Here is the private swimming pool which measures 12 x 4 Meters and till 3m deep with springboard. The Pool is heated with solar panels. 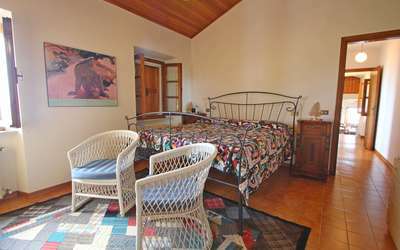 Next to the pool is a covered porch with dining table. 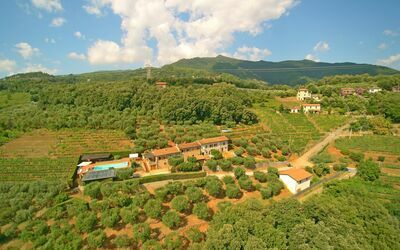 It is possible to buy directly from the farm wine and olive oil fully biological. 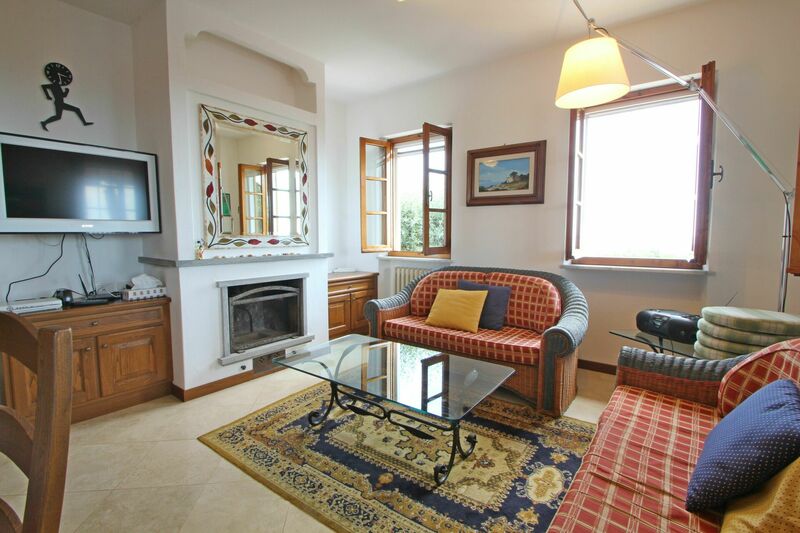 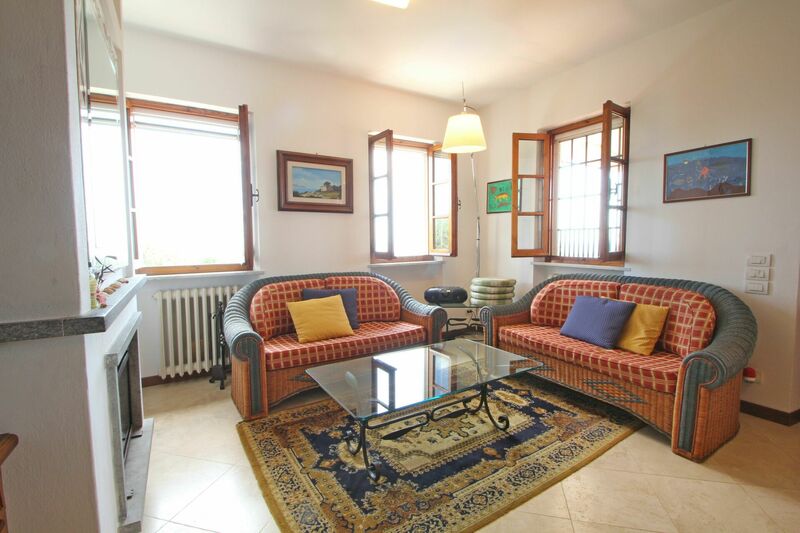 First floor (entrance): Living room with sofa, 2 armchairs, dining table, TV SAT, fireplace and windows with sea view. 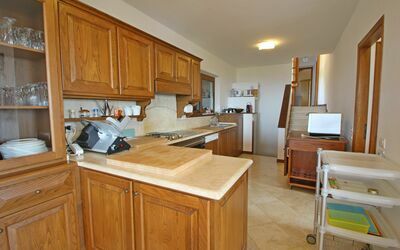 Kitchen equipped with dishwasher, 2 gas and 4 electrical cooking fires, oven, fridge/freezer and everything needed for cooking. Near the kitchen is the entrance to a Double Bedroom with private shower bathroom. 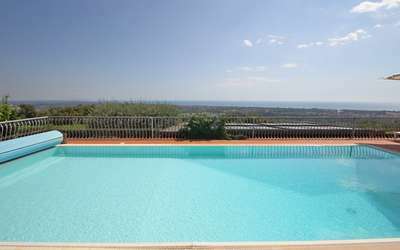 Both with sea view. 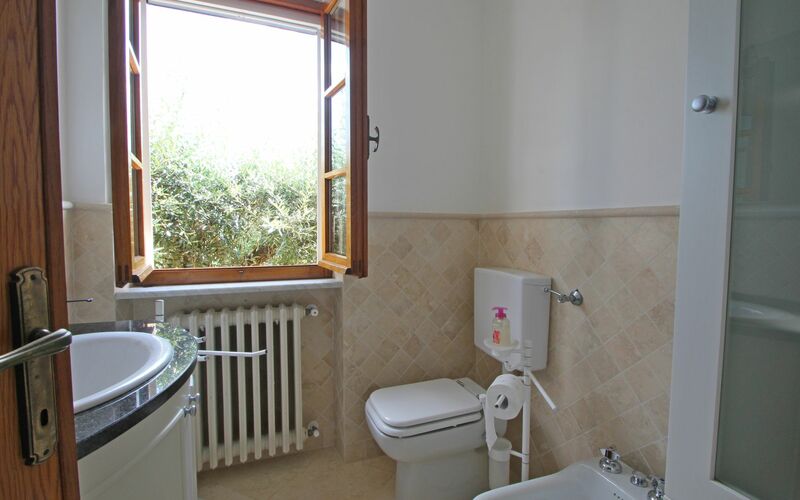 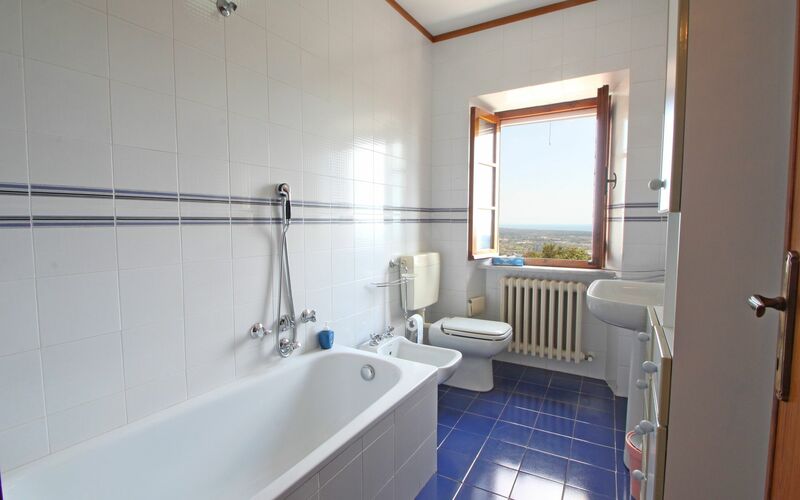 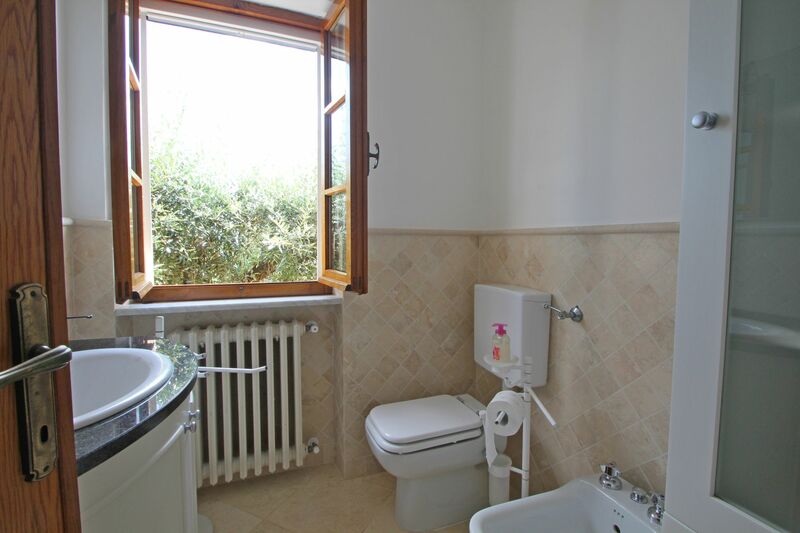 Bathroom with bathtub, basin, bidet, wc. 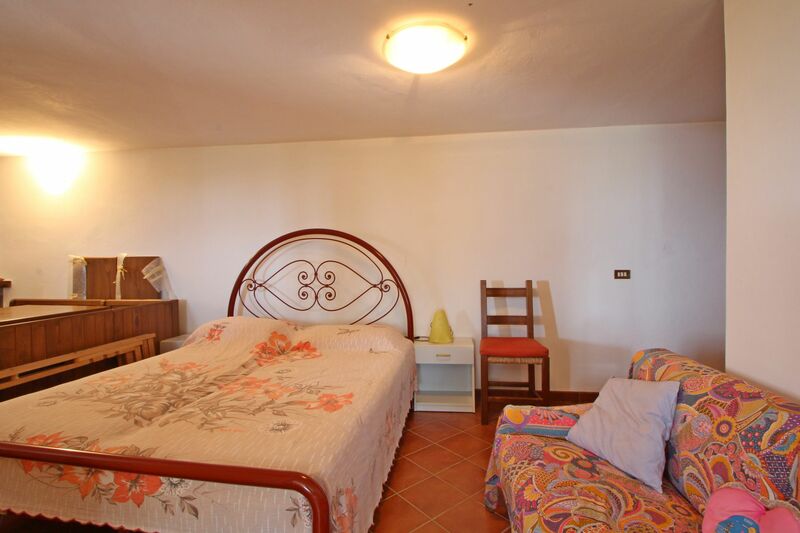 Main larger double bedroom with Sea View. 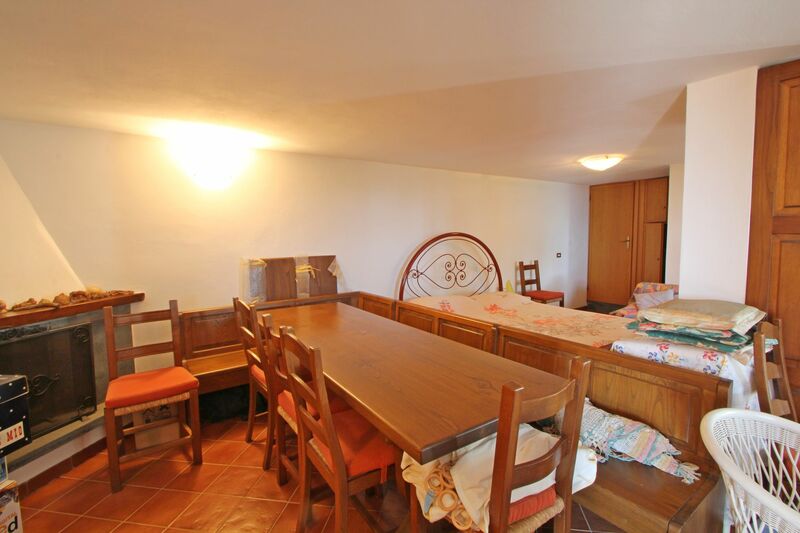 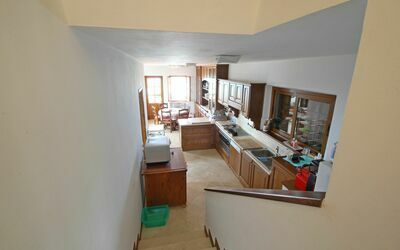 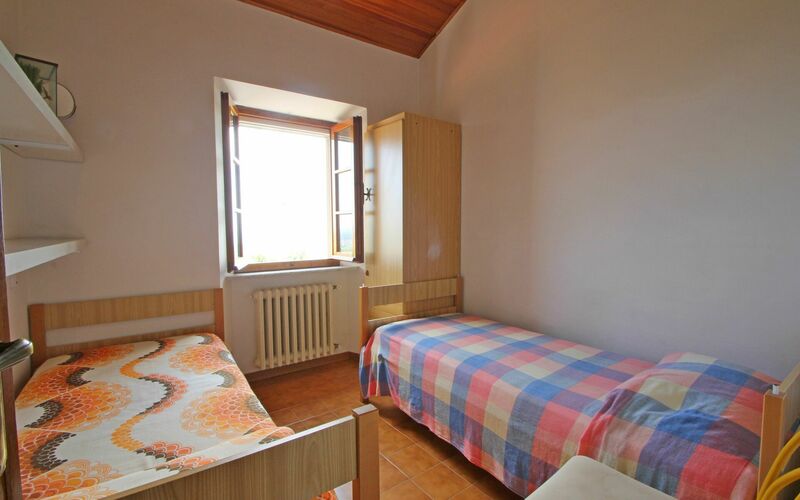 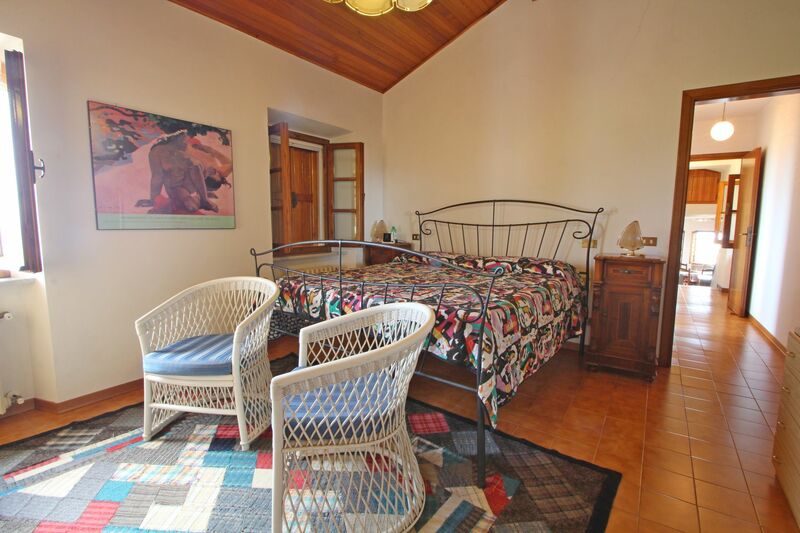 Ground Floor: Large room with fireplace and dining table where also a Double Bed is placed. 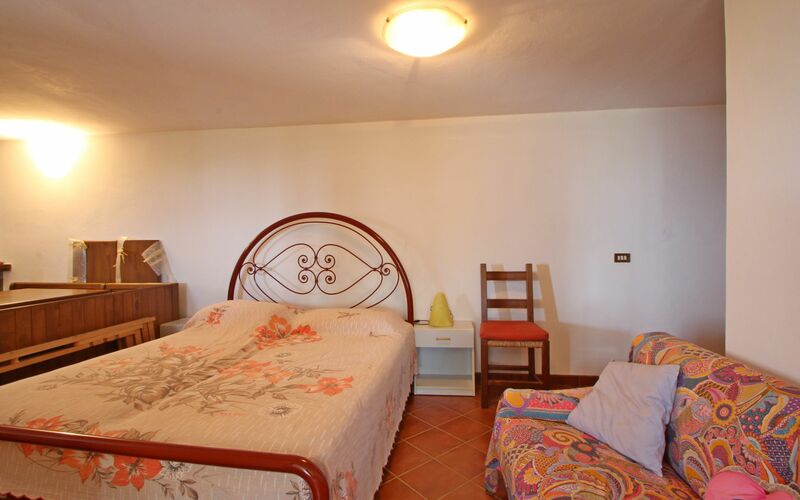 The property offers WIFI Internet.